We believe that your decision to borrow like a celebrity or purchase the latest trend-setting formal wear should not be undervalued! 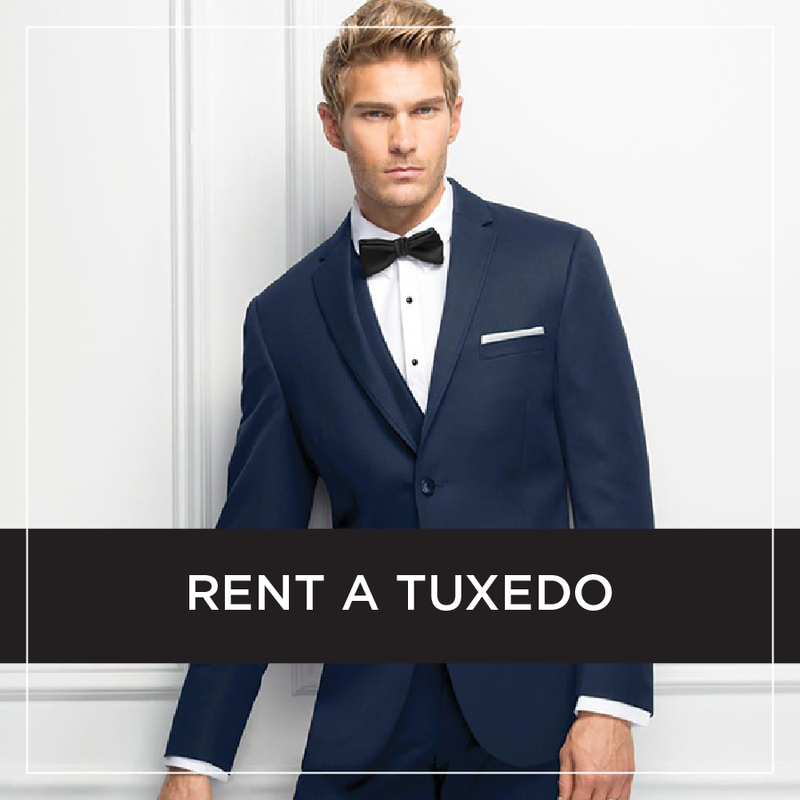 In addition to stocking some of the latest in designer gowns available for purchase in our Boutique, we also offer formal gown and accessory rentals as well as a huge selection of designer tuxedos available for rent. Click one of the images below to jump over to our Rentals site. Since we are the exclusive gown rental boutique in the greater Houston area, demand is high and appointments are required to ensure you have enough time and a dedicated fitting room for your special occasion needs. Not sure whether you want to borrow or buy? At your appointment, you are welcome to try on gowns from our Boutique (available for purchase only). For your convenience, we offer automated online appointment scheduling. You DO NOT need an appointment to rent a tux. However, if you're registering a wedding party for tuxedo rentals, it's best to schedule.